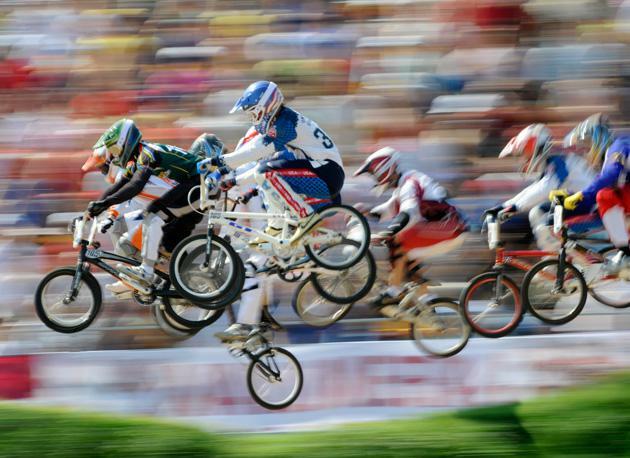 BMX RACING history dates back to the 60th. It became an Olympic discipline in 2008. 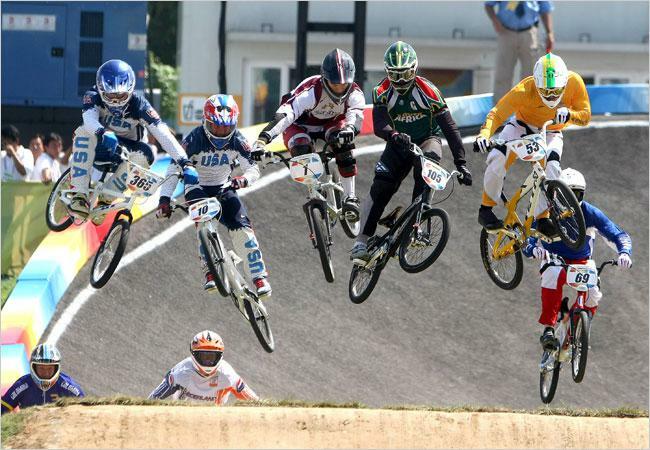 BMX RACING features 8 competitors riding simultaneously on a specially designed track. Competitors are equipped with helmets and pads. They start the race from a gate installed at the top of a starting hill. The course length varies from 350-450 m and it takes 30 to 40 seconds to ride the entire length of the course. of turns are up to the track’s designer. All that makes each and every track unique. During both designing and building works the top objectives are: to make sure each track attracts large audience, make sure the track will allow for gaining proper riding velocity and it will be is safe for its users.